Jenny Hobbs is a novelist and freelance journalist who lives in the Western Cape, South Africa. 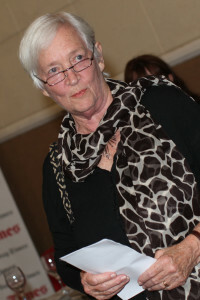 She reviewed books for many years and has also written for radio and worked on TV book programmes as organiser, scriptwriter, presenter and interviewer. She was part of the team that created the first Franschhoek Literary Festival in 2007 and was FLF Director for four years before stepping down in May 2014. Jenny was born in Durban, schooled in Durban and Pietermaritzburg, and studied for a BA at the University of Natal (Pietermaritzburg). After university she worked as a supply teacher in London before marrying Ron Hobbs and settling on a smallholding near Johannesburg with their family, later moving closer to the city. She relocated to the Cape in 2005. Jenny’s work has been published in most South African newspapers and magazines. For seven years it included the first regular column in South African English, starring Blossom Broadbeam, the subject of her first book of collected columns, Darling Blossom (Don Nelson, 1979). 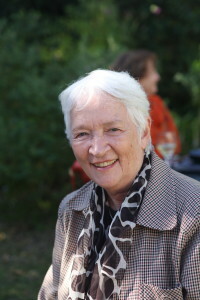 From 1978 to 1982 she was Features Editor on Thandi magazine, then part of Bona, and her experiences during those years led to her second book, an illustrated first aid manual in basic English called First Aid for the Family (Southern Book Publishers, in association with the South African Red Cross, 1987). Jenny’s short stories have been published in Contrast, New South African Writing, various anthologies of South African writing and overseas, and broadcast by the SABC and the BBC, though she now concentrates on full-length fiction. She is the author of seven adult novels, a novel for teenagers and five non-fiction books, including two collections of quotes about writers and writing, Paper Prophets and its soon-to-be-published enlarged version, A Writers’ & Readers’ Quotionary. Her first novel, Thoughts in a Makeshift Mortuary, is now acclaimed as a South African classic and was republished in 2014. The first four novels were published in England and in translation in Germany. Helping to promote reading in South Africa has been one of her decades-long concerns. She was involved in a number of reading initiatives, and since stepping down from the team that runs the main Franschhoek Literary Festival, oversees the activities of the FLF Library Fund and the annual FLF Book Week for Young Readers. Both aim to create a vibrant reading culture in the Western Cape, with the Fund’s current efforts concentrated on upgrading school libraries in the Franschhoek valley. A throwaway suggestion during a casual conversation, that’s the spark that ignited South Africa’s premier literary festival. Eight years later, the festival has become an annual highlight in the South African literary world. 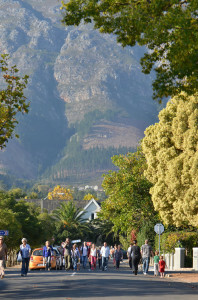 Writers and publishers wait eagerly for invitations to the FLF each year, and many festival-goers book their accommodation a year in advance. In 2007, Jenny and her team had no idea how many people to expect: ‘It was thrilling when we sold 1 328 seats, and the number has grown annually. Seven years later, in 2013, we issued 13 000 seats.’ This year, the festival will present more than 100 events, with over 170 authors, journalists and subject experts taking part. But, getting back to that energy that infuses Jenny, not only has she worked tirelessly to establish the festival, she’s also managed to write a number of books of her own. Jenny’s first work of fiction made readers sit up. Thoughts in a Makeshift Mortuary was published in 1989 and was short-listed for the CNA Literary Award in the same year. By 1999 she’d added five more books to the tally. Then, in 2011, just as the FLF was kicking into top gear, this indefatigable woman published another four novels on the trot: Kitchen Boy, The Miracle of Crocodile Flats, Napoleon Bones and True Blue Superglue. In 2014 Thoughts in a Makeshift Mortuary was reissued 25 years after its first publication. For now, Jenny and her team can be extremely proud of the contribution the FLF has made to their community. 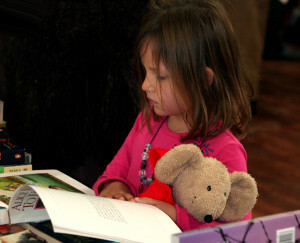 The FLF Library Fund has helped to upgrade, staff and stock four primary school libraries, which, together with the visits from children’s authors to every local class during the Book Week for Young Readers that precedes the FLF, are encouraging more and more valley children to read for enjoyment. Not bad for a throwaway suggestion during a casual conversation. Being involved with people who love words and reading – writers, journalists, publishers, editors and booksellers – has illuminated and enriched my life.